We will see the first of our outstanding English Strawberries at the start of March, we cannot wait! 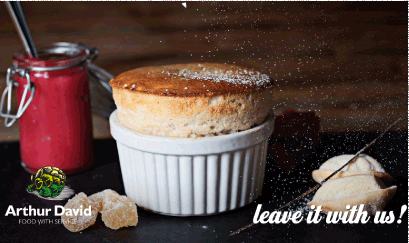 Raspberries are of very good quality and great to brighten up your dessert. 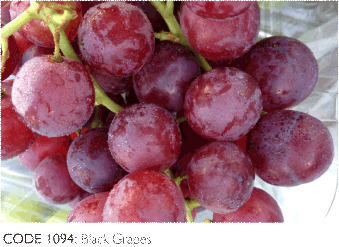 Our Black Grapes are a variety called Starlight, they are bursting full of flavour. 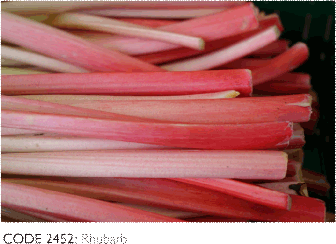 You cannot beat our Yorkshire Forced Rhubarb this time of year! New season Spanish Broad Beans are here and tasting great! Worcester and they are all great quality. Lovely Red Chard is available to order. a soup lover it’s the traditional Leek and Potato all the way, and with our delicious Maris Pipers you can’t go wrong. We will be moving to European Savoy Cabbage in the coming weeks. 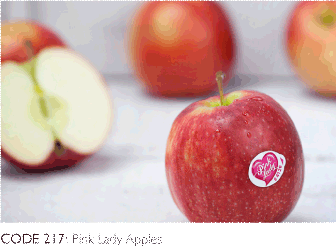 This week we will see the move to South African Williams Pears. Yellow Courgette are becoming more readily available along with Prepack Spinach. We have also been able to source Aubergines, Courgette, Iceberg, Cos and Little Gem the availability is still limited but there is more product coming through. Due to serve weather conditions in South Africa there will be a shortage of South African Baby Veg, we expect this to be short for the next couple of weeks. Did you know we sell eggs? We have an Egg-cellent range of Eggs available! 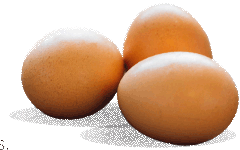 But our Burford Brown Hens Eggs, Legbar Hens Eggs, White Duck Eggs and fantastic Quails Eggs are all in stock for next day delivery. So why not give your rep a call today to discuss pricing. at the Source Trade Show in Exeter! We had a fantastic couple of days seeing not only our lovely loyal customers but some potential new ones. We were able to spread the word of our ‘Leave it with us’ ethos and how our customers are our rst priority. Steve Shore also produced some fantastic nibbles. Did you get to try any of the products that will be stocked later this year?! It’s that time of year again to start counting down to Mother’s Day. If you require any specialist items please order early to avoid any disappointment. This includes Baby Veg and Edible Flowers. full recipe. Then Tweet us, Facebook us or even Instagram it! But don’t forget to tag us!